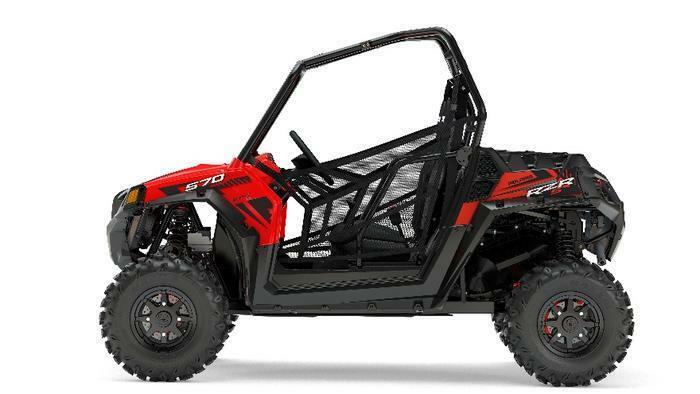 Polaris Industries of Medina, Minn., is recalling about 1,160 Polaris RZR 570 and RZR S 570 recreational off-highway vehicles (ROVs). The front brake can detach, posing crash and injury hazards. This recall involves all model year 2017 Polaris RZR 570 and RZR S 570 recreational off-highway vehicles (ROVs), including RZR EPS 570 or RZR S 570 EPS vehicles which have electronic power steering. Model number Z17VJE57AR was sold in red, model number Z17VHE57AU in silver and model number Z17VHA57A2 in white. The model number can be found on the manufacturing data label, near the right front fender. The two-seat ROVs have “Polaris” stamped on the front grill and RZR or RZR S on the side of the rear cargo. The vehicle identification number (VIN) is printed on the frame on the driver’s side towards the rear of the vehicle. The ROVs, manufactured in Mexico, were sold at Polaris dealers nationwide from December 2016, through June 2017, for about $8,500. Consumers may contact Polaris at 800-765-2747 from 7 a.m. through 7 p.m. (CT) Monday and Friday, or online at www.polaris.com and click on “Off Road Safety Recalls” at the bottom of the page for more information.